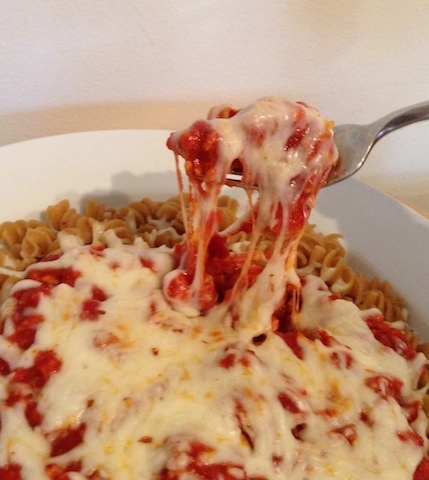 This entry was posted in Healthy Conversions and tagged bolognese, healthy, italian, pasta, rotini by Dr. Ochner. Bookmark the permalink. I love it, Nice looking dish, wonderful job. Thanks ! Looks fantastic, I so gonna try it! i’ve tried two of heathers recipes and they are both awesome. AWESOME! not in the modern sense but the biblical sense. i am so grateful for her recipes. respect ! I’ve been watching your Heathy recipe and really like them…you really do a great job giving everyone a step-by-step recipe for these great dishes…..Thank You!!!!!!!!!!!!!!!! great recipe. gona try your way on cooking this.looks yummmmmm..